Content Profit Machine Content Profit Machine – Write Faster, Easier and Better For a Greater Business! Write articles, blog posts, solo mailings, even sales letters by simply filling-in-blanks! Swipe actual headlines and subject lines that grab your prospects attention. Access a complete library of everything you need to write faster, easier and better for a greater, more profitable business! Now you can access your content creation package with over 700 pages of fill-in-the-blank templates, swipe files, checklists, case studies, training manuals, and idea starters! You look around the garage and there's not another customer in sight. Surely a 20 minute job shouldn't take all day if you're the only customer, right? The garage is completely empty. There's not a single tool around. Not even a screwdriver or a pair of pliers. No funnels. And certainly there are no power tools or computer diagnostics. I'm pretty sure if you ran into a mechanic without tools, you'd probably laugh and take your business elsewhere. You'd have to shake your head at anyone who took all day to do a 20 minute job, simply because they were too stubborn to use a few tools - not to mention the right tools. But you and I both know this is such a completely ridiculous example that it would never happen in real life. You'd never find a mechanic working without tools. And likewise, you'd never find a plumber, carpenter or even a janitor working without the right tools to make the job easier and faster. Yet take a look around, and you'll see plenty of other professionals working without the right tools -- maybe even YOU. Because if you do ANY type of writing - from blog articles to newsletters to social media posts to sales letters and emails - without the right tools, then you're going to find yourself taking all day to do a 20 minute writing job. I'm sure you know exactly what I'm talking about. Some days you just stare at a blank screen. Some days it feels like trying to string a few words together is harder than drawing blood from a turnip. It's frustrating to waste so much time, and it's embarrassing when you don't put out your best work. These are the same tips, tricks, templates and tools most of the Internet's top marketers, writers and business owners use every day to create high-quality content that makes an impact, gets results and generates profits! And now you too can use these same tools to create great content faster than ever. … And pretty much any other content you need to build your business, connect with your prospects and customers, or to create impressive content for your high paying clients. To my knowledge, there's nothing like this on the market. I really believe you've never seen anything like this anywhere. And I'm convinced you won't find a better way to become a better writer. Those sound like pretty bold claims. Within five minutes of accessing the entire the package, you will have full confidence that this is the real deal. And it's something you could use EVERY DAY in your business. This is everything you need to know about creating content in any shape and size. This is a lifetime of insight in one program. An entire arsenal of fill-in-the-blank templates and tools that the "pros" use to create high-quality content in a very short amount of time. Module 1 - The W.R.I.T.E Way - The Only Way! Because this section is all about "How to Write Well." These videos are required material! You'll learn my top 3 secrets to writing well. The videos also walk you through "How to W.R.I.T.E. Content" AND how to generate ideas so you are never stuck staring at a blank screen. You'll love W.R.I.T.E. because it explains exactly how to . . .
W - WEIGH your idea options. R - REACH a formatting decision. I - INTRODUCE supporting points. T - TELL the relevant details. E - END by polishing document. Plus the cheat sheets in this module walk you through how to write more compelling content, and how to write faster. I show you how to improve your writing and how to check your readability. I even share 7 fantastic hidden sources for content. Plus the templates for this section give you actual swipes that you can download and edit for opening paragraphs and closing paragraphs. Finally, you will never get stuck, because you have the 101 Writing Idea Generators checklist to inspire you. This section is guaranteed to improve your writing and speed up your writing process. Ever get stuck for content? Maybe you'd like to write an article, but you don't know what to write about. Or maybe you'd like to add content to an article, report or book, but you're not sure what to add. These idea generators can help - you'll never be at a loss for words again! NOTE: Before I go on, I've gotta say that this resource alone is absolute GOLD. It's easily worth every penny you'll pay for this package by itself. Just an unbelievable resource for every content creator. A true "must-have." Each video breaks down critical writing secrets that "The Titans" have been using since the very beginning. You know who I'm talking about: The Agoras, The Weiss', The Boardrooms of the world. Now you can have the same advantages as these mammoth content leaders! This is your very own "Starter Swipe File". It's a collection of ideas to write about in a single sentence formatted template. You can use the starter sentences to create paragraphs of content about virtually any topic in the world! These starter sentences allow you to quickly find something to write about anytime you want to build content for any document. These ready-made templates are your first step towards getting the sale. Sometimes just getting started is the hardest part. These article openings give you specific examples of how to start and pull your reader into your article so they keep reading. Whether you're writing blog posts, articles, reports, ebooks or even video scripts, you can model your opening paragraph or introduction after one of these 20 openers. Never again will you stare at a blank document trying to figure out how to start your content piece! The end of any content piece is your chance to recap your most important points and encourage your reader to take action. And inside this section, you'll discover 20 powerful ways to close your articles, blog posts, reports and other content pieces! No matter what niche you're in, no matter what you're selling and no matter what kind of content you need to create, these fill-in-the-blank templates and examples will help you create your content faster and easier than ever! That's right, these are "fill-in-the-blank" formatted resources. Plug in your specific details and you're ready to roll. If you're like most writers and business owners, you need to create a lot of content… fast. And inside this section you'll discover how to create tons of high-quality content, simply by recycling and repurposing your existing content. You'll love this strategy because it saves you lots of time and money! Although these content ideas were originally designed to help create content for a membership site, you can use them to help you create any type of content. Inside this section you'll discover how to get content created by other experts, how to create "stand alone" content such as worksheets and much more. These ideas will help you create a product or add value to a product! Don't be the writer whose content puts readers to sleep. Instead, read this section to discover how to write content that keeps your readers hanging on your every word! These seven resources will help you create good outlines, do your research, write faster, overcome writer's block, connect with your audience and more. You'll even find out how to get others to create your content for you… for free! You get all these content-creation tools to quickly generate dozens of product ideas, to write better cash-pulling sales letters, and to create better products and other content that leave your customers wanting more! Yes this is all in the first module! You will continue to be blown away with the second. Module 2 - Essays, Blog Posts and Articles - Oh My! Here you'll find hundreds of pages of rock-solid tips, tricks, and video tutorials you can use to quickly and easily create better blog posts, articles, essays, short reports. You will also learn the secrets to monetizing your content! This easy-to-use swipe file will give you 20 different types of articles you can write. 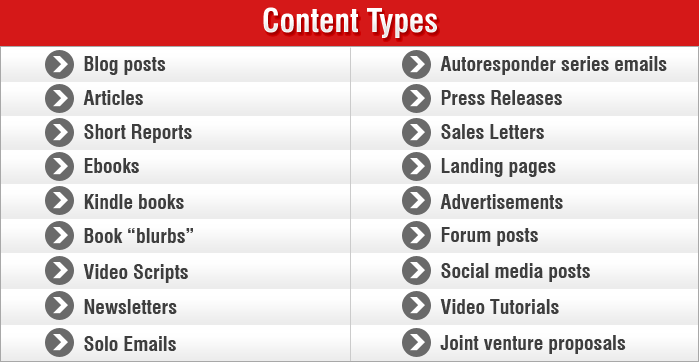 Take these titles and follow the steps to fill in your content. In no time, you'll be cranking out articles, essays and blog posts using these templates. Tired of writing "how to" and "review" posts? Here are 52 types of blog posts you can use to introduce variety to your blog and keep both you and your readers interested! This is a resource that you will refer to over and over again on its own to keep your creative juices flowing. PLUS, it can easily be used for ideas for article writing, small reports and other content as well. Need an eye-catching title? Just use these fill-in-the-blank templates to quickly generate dozens of compelling titles for your blog posts! You will never, never, never again have to struggle with what to write about! Have you ever noticed that certain blog posts almost always generate a lot of traffic, discussion and sharing? Now you don't have to reverse engineer the magic because I've done it for you with these 10 types of posts that are almost always popular! From creating a great title to writing the article to crafting a results-getting resource box, this checklist is your key to writing better articles. You'll find out how to write an awesome article, simply by answering three key questions. It's easy for you, and your readers will love the end result! Inside this eye-opening section, you'll discover something that as few as 10% of article writers know - and once you've mastered this secret, you'll know how to create articles that put money in your pocket! Are you seeing the incredible resource that is literally at your fingertips? With CONTENT PROFIT MACHINE, you can become the writer you always wanted to be! Now take a look at module three. How to Write Sales Letters and Promotions That Bring Down the Roof! If you've ever struggled to create persuasive sales letters, advertisements, landing pages and other sales copy, then these 237 pages of templates and tutorials are going to be your saving grace. People won't buy unless you give them a good reason to buy. And that's what these 27 hot buttons do - they give your prospects a good reason to buy from you. From creating scarcity to tapping into emotion, each of these buttons is sure to help you boost your conversion rate! You've heard the money is in the list. But that doesn't mean you can send any ol' kind of emails to your subscribers to get results. If you want to make money with your list, you need to use profitable emailing strategies. And inside this section you'll discover 27 proven ways to turn your autoresponder or mailing list content into cash in the bank! In these videos, I walk you through the parts of sales letter, explaining each one. Then we talk about the 8 principles of great copy that I used to add millions of dollars to the bottom lines at Agora, Early to Rise and Weiss Research. Then in the 3rd video, you'll see exactly how to write your own profitable promotion. Video 4 talks about how to use content to get sales, and then in video 5, I tell you the three things to do if you are stuck! In this guide, you'll get real-life examples from my own businesses. I share the old, the new, and the "why" behind what I changed. You can use these same simple techniques to super-charge your promotional pieces. Whether you're creating a sales letter for your own product or one for a client, you can use this questionnaire to better understand the product and the audience so you can write a letter which really connects with your readers! Even if you don't like to write, you can download and edit these templates to have your own sales letter created from proven and tested templates. You're already creating a lot of content - but do you know the secrets of using this content to promote offers the right way? Inside this swipe file, you'll discover 15 proven ways to directly and indirectly promote your offers - this is a must-read for anyone who creates content! When you are ready to send out your promotion to your mailing list, these templates will make it simple to tell them what you are selling (and get them buying)! I like them so much, I even wrote 3 more, in addition to the first 10 templates. With 13 templates, you'll never be stuck for promotional content again! You'll discover how to surprise your readers, tap into their hidden desires, arouse their curiosity and much more. These pre-headline templates set the hook so you can start reeling in your prospects! These headlines work like sticky traps that glue your prospects to your sales letter! Whether you want to warn your prospects, surprise them, delight them or get them excited about your offer, you'll get the perfect template for the job! The dream is that every prospect reads every word of your letter. The reality is that a large chunk of your prospects are going to skim your letter. That's why you'll want to use these enticing sub-headlines to re-grab the attention of your prospects and get them moving towards your order button, fast! You'll find out how to start eliminating your prospects' objections, whet their appetites, create urgency around your offer and much more! You think thriller novels pin readers to the edge of their seats? Just wait till you see these templates for telling stories, empathizing with your prospect, making the prospect feel special and other surefire ways to engage your readers and keep their eyeballs on your letter! Sure, you can just directly say "here's my product and here's what it will do for you." Or you can use these templates to share a secret discovery, establish your credibility, prove your case or even spike your prospect's curiosity! You can use screenshots, videos, endorsements and much, much more to melt your skeptics' resistance and get them urgently hitting your "buy now" button! I'll show you all of it. These are the mouthwatering parts of your sales letter that turn a lukewarm prospect into someone who is absolutely convinced they need to get their hands on your offer now. These bullet points will arouse curiosity, share benefits, and hit all of your prospects' hot buttons with ease! Here you'll discover how to call your prospect to action by reversing risk, justifying the price, creating a sense of urgency and other irresistible methods for closing the sale! It's not enough to present your offer, you have to tell the prospect to buy ... and tell them in a language that they can relate to. You'll get a full set of templates, including guarantees you've never even knew existed, like hybrid guarantees, exceptionally compelling guarantees and much more. Reverse the risk and watch your conversion rate soar! Your postscript is one of the most-read parts of your entire letter - and that means your P.S. can literally make or break your offer's success! That's why you'll love using these surefire templates that close the sale by reminding prospects of the benefits, offering a special bonus, and much more! AND Membership Sites That Produce Revenue! Did you know the key to creating a bestselling product starts with good research? However, most people don't know the right way to research their products. Give yourself an edge by discovering the research secrets inside this section! Case Study: How to Turn Bullet Points into Info Product Ideas: Have you ever struggled to come up with an idea for a new product? Just read this case study, and you'll discover a clever trick for generating dozens or even hundreds of new product ideas - you'll love this! 17 Best Types of Information Products: Not sure what format you want? This module gives you 17 different ways to create your product (or even repurpose your content into new formats)! 3 Product Outline Templates: Then you can use the outline templates to know exactly how to structure your new product. 27 Red-Hot Lessons and Topics for Your Next Information Product: Here you'll discover over two dozen different ways to share ideas in your product. You'll get all sorts of ideas, from creating a traditional "how to" report to creating a "pop culture lessons" report that your readers are sure to love! 27 Ideas for Membership Sites: You've heard starting a membership site is a profitable venture. That's true. But coming up with a good profitable idea for a membership site tends to trip up most people. Until now - because inside this section, you'll discover over two dozen niche ideas you can use to create your own lucrative membership site! 6 M.O.D.E.L.S. for Membership Site Lessons: If you're creating a membership site, you can use these 6 M.O.D.E.L.S. to structure your content and ideas. For example, you'll discover how to create an article that uses your mistakes to teach your readers. Does creating an information product feel overwhelming? Make it easier by using this checklist to help you research, outline, and create reports, ebooks and other information products quickly and easily! Your title is so important to the success of your new information product. Take this swipe file and pick one of the 25 product titles and fill in the blanks for your own successful product. Come on now - isn't it time you had your very own product or membership site to sell? Now you can! Module 4 is your gateway to personal freedom! When you get done with this module, you'll have the content for your entire information product fleshed out and outlined. Now take a look at module 5 where you will discover the true meaning of an ambassador! Module 5 - Your Brand Ambassador. How to Write Lead Magnets that "WOW"! Inside this section you'll discover a simple five-step system for creating long content (such as report and ebooks) faster, easier and better than ever before! The title is the most important part of your lead magnet, because people will make their decision about whether to read your report just based on the title. Now you can quickly and easily generate an attention-getting title using these 42 fill-in-the-blank templates - it's easy! Regardless of your niches or audience, these templates give you everything you need to complete your very first lead magnet in no time flat. They provide you with the perfect structure so that you are creating fans every time you publish one! 2 Video Tutorials including The Number One Secret 90% of Writers Don't Know! Inside this video you can literally gain inside information only a handful of writers enjoy (and profit from)! Now let's jump right into module 6. Titles and Headlines That SCREAM! In this final module I reveal my secrets for writing the best subject lines, titles and headlines. Remember if these "Firsts" are not great, your message will NEVER get read, regardless how valuable it may be. These subject lines, titles and headlines grab the attention of your prospects to get your email opened! Remember you could have the greatest content or copy inside waiting for them, but if they do not open your email, they will never see it! The 5 Worst Subject lines: Not only do I give you the 5 worst subject lines, I explain why they simply don't work. This way you do not have to make the same mistake! The 5 Best Subject lines: What make these 5 subject lines so great? I share it all in this special resource guide! In this video I share a story of the best copywriting lesson I ever received and it is not from any "copywriter" you ever heard of. This is the one lesson I use for every subject line, headline and title I write and review! Content Profit Machine is an unbelievable resource. You'll discover everything you need to know about creating first-rate content that keeps your readers hanging on your every word. Your readers are more interested in getting good information than they are interested in you writing perfectly grammatically correct content. And that's why this section will show you how to write content that enthralls your readers and leaves them wanting more! These seven articles will help you create good outlines, do your research, write faster, overcome writer's block, connect with your audience and more. You'll even find out how to get others to create your content for you… for free! You'll get 10 fill-in-the-blank headline templates to create attention-getting headlines fast, the secrets of boosting your response rate by creating urgency, plus you'll even find out how to connect with your readers by telling stories. 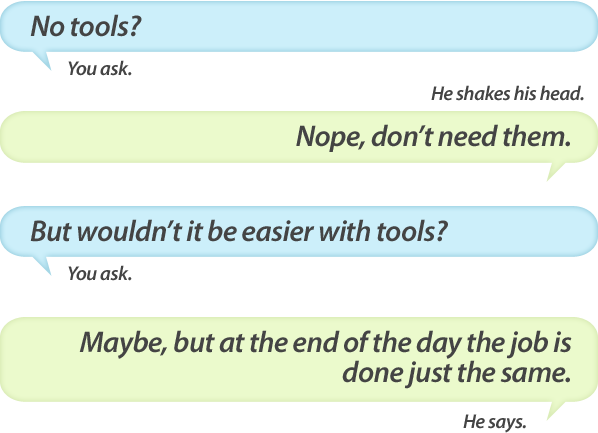 These are the three tools every copywriter ought to have in his toolkit! Just when you think there couldn't possibly be more in CONTENT PROFIT MACHINE- I am throwing in a crazy BONUS absolutely FREE! You also get the bonus, How to Write a Winning Promotion in 10 Days! This is your crash course in creating cash-pulling promotions! That's right, this special bonus breaks down the exact steps for writing your next promotion in 10 easy steps that you can accomplish in just 10 days. No matter what subject, niche or project, you will be able to complete your promotion on time. And the sooner the promotion is complete, the sooner the cash can start rolling in. Listen, this is what I use myself. I'm not pushing you off onto a product that I've never tried, nor even own. I'm not selling you something that I know nothing about. I've been making my living as a writer for most of my adult life, online and offline. This is how I feed my family, pay my mortgage, travel the world and how I have written TWO best-selling books. As a matter of fact you know, like and trust me from my writing! And if there is one thing I know, it is info writing. MaryEllen has a unique ability to cut through the clutter, make things simple, and to only focus on those activities that have the highest impact on your revenues and bottom line profits. 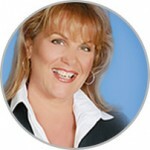 Her courses and advice have guided me in totally transforming my business. And in just one short 30 minute consultation, she was able to dissect the one main challenge I was having, and gave me an idea that will add over a quarter million dollars to my bottom line in just a few short months. And that's not even the best part. Incredibly, the plan she laid out should only take 4-5 hours a month to implement! She's a direct marketing genius whose passion and enthusiasm is infectious. If you're looking to start or grow an online business (and want lifestyle to boot), I strongly recommend you follow and listen to everything she says! Build a following of loyal fans who love your content. … Then you need the Ultimate Writing System - Content Profit Machine! 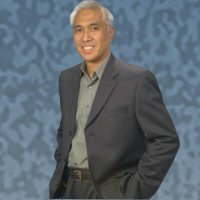 This will help you write everything: blog posts, articles, short reports, ebooks, Kindle books, book "blurbs", video scripts, newsletters, inbox magazines, solo emails, autoresponder series emails, press releases, sales letters, landing pages, advertisements, forum posts, social media posts, joint venture proposals and more! IMPORTANT: Even though this is a huge collection of tools spread across over 700 pages, it's all neatly organized in six modules with a complete table of contents and easy-to-follow videos. And that means whenever you need a specific writing tool, you can just go directly to it and start using it immediately. It's fast. It's easy. And it will make you a better writer! And that is exactly what you need to make a better living! Nothing on the market even comes close to what I'm offering here. And yet I've seen writing tools and systems with half of what's included in this collection go for thousands of dollars. This huge collection of amazing tools certainly is worth that or more, simply because it WILL make you a better, faster writer not to mention if used correctly, real profits! But you don't have to invest that much today to access this system. If you act right now, you can get the entire collection of over 700 pages, six modules and 47 tools and tutorials for the special price of just $297. I could easily sell this for $997 or more. But because I believe in true "business karma," I am slashing the price. Because I know you will love this system so much that you will tell at least one friend or business colleague and I will end up with even more content creators and writers who are ready to grow their business! If these tools save you just a couple hours of time this week, then this package will pay for itself immediately. Or maybe you'll use these tools to instantly create a compelling sales letter, in which case you'll recoup your investment even faster once you make a few sales! Simply put, this package is an excellent investment for your business. You simply will use it over and over again. And the sooner you start using it, the sooner you'll be able to create better content which generates more traffic, more loyal readers, more customers and puts more money in the bank. Instead of putting all these valuable secrets in one big book, we have broken out a lifetime of secrets into small digestible pieces. We have created an easy to use "Members Only" site where you will find videos, audios, transcripts, checklists, resource guides, articles, workbooks, swipe files and templates. We have placed everything you need to become a better writer, in a fast and easy to use format that you can access 24/7! And here's the best part - YOU GET IMMEDIATE ACCESS! That's right, when you order below you will immediately have access to everything you need to write faster and easier for a better business! You get the best of all worlds! Whether you find it more convenient to watch, listen or read - you get it all with CONTENT PROFIT MACHINE. Our easy to follow "Members Only" site lets you choose! You have a full 30 days to put CONTENT PROFIT MACHINE to the test. If by the end of the training, you don’t feel like the templates, checklists, workbooks, swipe files have made you a better writer and saved you time…you can feel free to ask for a full refund. It’s as simple as that…Start writing better, easier and more quickly TODAY!! Take out your credit card and click the button below to order now, because this is your new "secret weapon" for creating content that impresses your readers and puts more money in your pocket! P.S. Yes, this package includes all the templates, checklists, case studies, swipe files and other tools that the pros use to create stunning content as quickly as possible. And now for the first time ever you can have access to these tools to make all your writing better, easier and faster. Don't write another word until you join this writing system today!